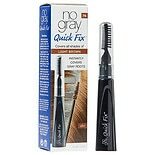 Shop No Gray Quick Fix Instant Touch-Up for Gray Roots 7N Light Brown (.5 oz. ).5 oz. $829$8 and 29 cents$16.58 / oz. 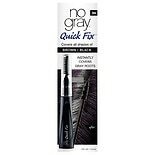 Shop No Gray Quick Fix Instant Touch-Up for Gray Roots Black/ Brown (.5 oz. ).5 oz.